What does a TOS-era communications officer do when their ship is in warp? In the TOS-era, the communications officer was a dedicated role (rather than being combined with tactical or operations, as it had been in other eras). From what I recall from episodes, Lt. Uhura's main job is to open hailing frequencies with other vessels, and otherwise monitor communications. It seems to me that she's the Star Trek equivalent of a switchboard operator. But what do communications officers like Uhura do when the ship is at warp and they have nobody to communicate with? Do they have any actual duties? The TOS-era ships has crews of hundreds of people, the Enterprise crew was 430. Communicating with other ships/planets at warp is possible, but even without external communications the communications officer would have other duties. Practically speaking, it wouldn't make sense to have a bridge officer's only job to be just to talk to other ships/planets, and waiting around the rest of the time. The crew and all the different departments would communicate with each other and to the bridge, the communications officer would be the major bridge relay, much more than just the "long distance operator" ;-) Memory Alpha says the Communications Officer is "responsible for managing all incoming and outgoing transmissions, whether they be visual, audio or text communications" so sorting and prioritizing outgoing communications from all over the ship, when they're within range or at the appropriate time, could be a big job too. 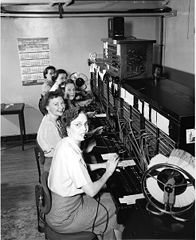 Similar to, but not exactly like a telephone switchboard operator (though they were still common in the 1960s, so I can imagine that's her inspiration). Probably closer to a Matrix Operator, sorting through all the department reports & communications and relaying important information to the bridge crew. Wikipedia's Uhura article also says she "is depicted as a capable bridge officer and readily manned the helm, navigation and science stations on the bridge when the need arose." So even during times of zero-communications she's likely to be busy with something. 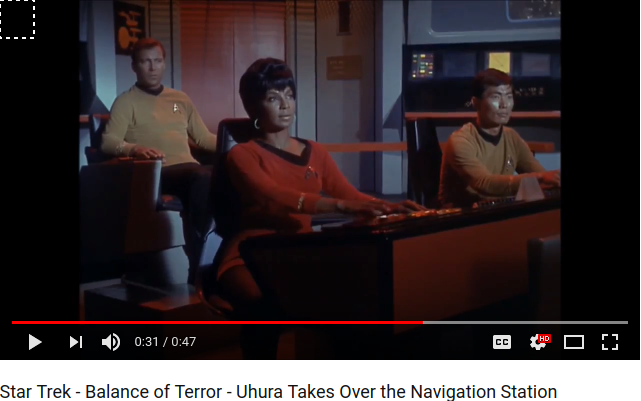 Here's a YouTube clip of Uhura taking over the Navigation Station in "Balance of Terror" and still opening ship to ship communications with a Romulan, while at the Navigation station. Memory Alpha's Command division page says "The communications officer, which began as operations division, was briefly held by officers in the command division, namely John Farrell and (briefly) Uhura, before returning to the operations division." And Hoshi Sato (Star Trek: Enterprise's Communications Officer) was in the Sciences division. The Communications officer page says it was found across multiple divisions, so it appears to be a very flexible position. In the series bible for Star Trek: Enterprise, it was stated that subspace communications would be introduced in the course of the series. However, it was also imagined in the same early document that "long range, subspace communications" in which the NX-class Enterprise participated would only be possible while the craft was traveling at warp. What happens to a TNG-era Romulan Warbird power core when it is destroyed in combat or decommissioned? Why does Hoshi wear a Blue (science division) uniform when she is the comms officer? How does Star Trek bridge crew spend their time when on duty? When a ship drops out of warp does it retain the speed it was at when it entered warp? Are those stars moving past the window when the ship is at warp? What ship models does Sisko have in his office?